Sam Marshall is an architect specializing in gallery and museum design – internally and externally. 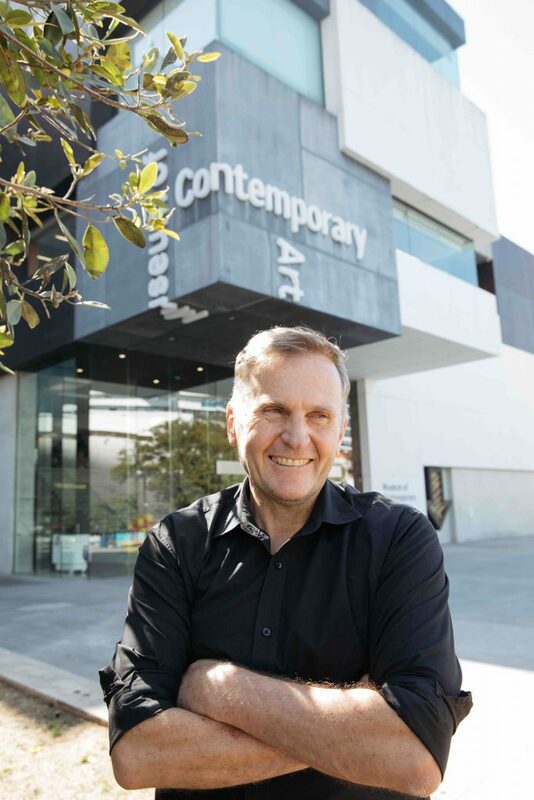 He is best known as being the architect of the award winning Museum of Contemporary Art. In his 34 years of architectural practice, he has gained a vast knowledge and experience in gallery design from big projects to the detail specific to this highly specialized building type. Sam deals directly with each client, attends all meetings and does the design magic. What he does not do personally, he oversees. As his clients know their lifestyles and businesses better than him, he takes onboard their concerns and works with them to turn them into opportunities and successful uplifting outcomes. The process is very much two way. Sam sees sustainability as integral to built form and not as an add-on. He uses the Earth’s resources wisely and economically so they will be there for future generations.